There's a feeling I always get when I know I'm watching my favorite movie of the year. It's a feeling the theater has begun to shrink. The walls close in, in a comforting way, not a claustrophobic Hitchcock-zoom kind of way. Everything feels a little more focused, like it's just me and the screen. And I'm absolutely absorbed, possibly transported, but definitely transfixed. It's how I felt when I was watching Sing Street. And yes, I know it's not even June and yes, I know that's a bold statement, but I have a feeling it will still ring true in December. There have already been some very good movies out this year, a lot of mildly ok ones and some clunkers, which is par for the course when you have to make it through the January and February doldrums. But there hasn't yet been a movie that (if you'll pardon the pun) hits all the right notes. Even if you don't pardon the pun, I can't take it back now. Sing Street is the story of Conor, a teenager in 1985 Dublin who, like all teenagers, has problems. His country's economy is in the toilet, his parents are splitting up, and he's about to be the newest student at Synge Street, a public academy that lacks the culture that his old school afforded him. But those concerns quickly disappear when he meets Raphina, a sophisticated young woman with designs on becoming a model. Raphina, and how best to impress her, quickly become Conor's primary concern and with that as his sole impetus, he decides to do what all cool guys do: he starts a band. Yes, it's the 80s, so of course this is a rag-tag group of misfits. There's Eamon (Mark McKenna), the John Lennon of the group. He can play every instrument known to man, co-write amazing tunes, and provide a loving home to several bunnies. Then there's Ngig, the only black boy in the entire school, recruited for his cool-factor. Rounding out the band are brothers Larry and Garry on bass and drums, and this is the gig they've been practicing their whole lives for. To go beyond that description would be to take away the utter joy that is this movie. You can probably get a pretty distinct feeling of where this is all heading just by watching the trailer, but suffice it to say, this film falls somewhere between heartwarming, refreshing and yes, the feel-good film of the year. And you know what? Never once was I bored by knowing that this movie was written to be a joyous escape. 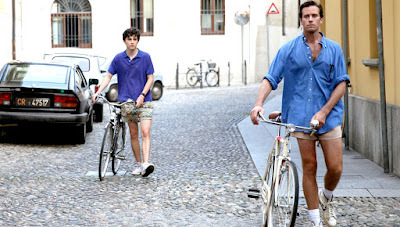 In a world in which horrible things are lobbed at us hourly, daily, weekly and monthly, it was refreshing to have a movie so engrossed in its characters and in telling its story that I got sucked into it too. We're living in a world of rehashes and reboots, and a world in which the easiest way to sell a movie is to say "it's like (insert title here) and (insert title here) combined." Studios assume that audiences need familiarity in order to buy a ticket. 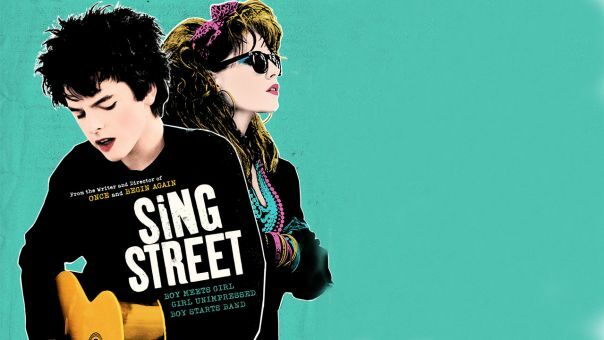 In that vein, it is easy to describe Sing Street as Billy Elliot meets School of Rock and not be wrong. All of them are stories about underdogs struggling to make their creative mark on the world, and Sing Street can stand tall with those two predecessors. It also has the added bonus of featuring an original soundtrack that sounds like something you definitely would have wanted to buy in the 80s. Inspired by the vastly changing music scene of that decade, the filmmakers have crafted songs that are loving homages to Duran Duran, Hall & Oates, and other favorites of the MTV decade. This is a film that should already have Broadway producers scrambling for its rights. But back to the beginning, and why it's most certainly in the running to be my favorite film of the year. 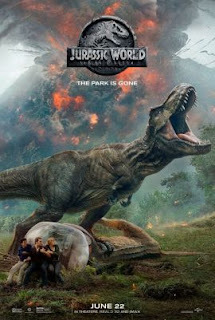 Unlike so many movies these days with bloated expectations and even more bloated box office projections, it was a glorious relief to, at last, get to see a movie that is totally unconcerned with what the studios expect of it. Sing Street is the small movie that SHOULD this year. It should make you smile, it should break your heart a little, and it should make you walk out of a viewing humming its tunes. Even thinking about it now, I can't help thinking "isn't it amazing when moving pictures actually move you?"